The UK Senior Accounting Officer (SAO) regime was brought in by the Finance Act 2009 and requires large companies and groups to identify the individual who is responsible for certifying to the UK tax authority (HMRC) each year that “appropriate tax accounting arrangements” are in place. The SAO has personal liability to take reasonable steps to ensure that this is the case, with a breach of the rules resulting in a flat-rate personal penalty of £5,000. In Kreeson Thathiah v. HMRC, the SAO regime was tested in the courts for the first time and the judgment provides useful practice points as to what “appropriate tax accounting arrangements” might look like in practice. The judge cancelled the penalties HMRC sought to impose on Mr. Thathiah. SAOs should take some comfort in the common sense, pragmatic approach the judge took. What constitutes “reasonable steps” for an SAO to comply with the regime will depend on the size of the business and the resources available. While ultimately a victory for the SAO, the way that HMRC approached this case provides a cautionary tale for all SAOs. The SAO regime aims to protect the tax yield by identifying a clear point of responsibility for tax accounting within large companies and groups, in the hope that the prospect of personal liability means that an SAO will adopt rigorous tax accounting policies and procedures resulting in fewer errors in tax returns. The SAO regime applies in relation to each “qualifying company,” being a UK incorporated company which itself has, or which is a member of a group in which the UK incorporated companies have on an aggregate basis, a turnover of over £200 million or balance sheet assets of over £2 billion. A qualifying company must identify the director or officer who has overall responsibility for the company’s financial accounting arrangements (the SAO), and notify HMRC of his or her identity (failure to do so carries a penalty). Under paragraph 1 of Schedule 46 to the Finance Act 2009, the “main duty” of the SAO is to take reasonable steps to ensure that the company establishes and maintains appropriate tax accounting arrangements, to take reasonable steps to monitor those arrangements, and to improve them if appropriate. 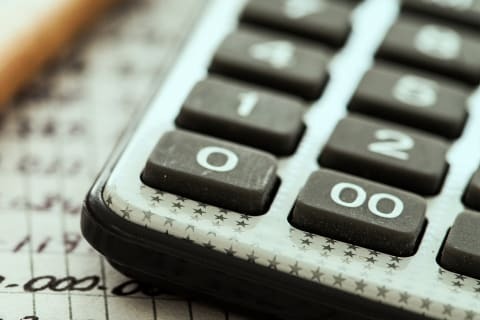 “Appropriate tax accounting arrangements” means accounting arrangements that enable the company’s UK tax liabilities to be calculated accurately in all material respects. The SAO must certify to HMRC each financial year that the relevant company had such arrangements throughout the financial year and, if not, give an explanation of the deficiencies. Failure to comply with the main duty at any time in a financial year results in a personal flat-rate penalty for the SAO of £5,000, unless the SAO can establish that there was a reasonable excuse. Kreeson Thathiah v. HMRC, heard before the First-Tier Tribunal Tax Chamber (the Tribunal), was an appeal by Mr. Thathiah (the appellant), the former finance director of the Lenlyn group of companies. Lenlyn is a family controlled, unlisted group, including a UK incorporated company which was the VAT representative member for a currency exchange and other cash handling businesses. As with many financial services businesses, the VAT recovery position of the group was somewhat complex and would have been an obvious issue requiring careful attention from both the taxpayer company and HMRC. 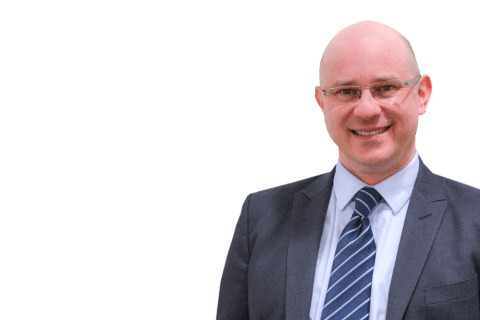 During his time with the group, the appellant provided unqualified certifications to HMRC as the SAO of a number of group companies for the financial years ending 2011 through 2013. At the request of HMRC, the appellant subsequently met with HMRC. As the appellant had left the group by this stage, he had not seen the written error correction notice provided by KPMG (and HMRC asserted that taxpayer confidentiality prevented them from showing it to him at this stage). The Tribunal did not consider that he was in a position to address the issues properly at the meeting. Following the meeting, HMRC made penalty assessments against the appellant of £5,000 each in respect of the financial years ended in 2012 and 2013. The appellant appealed the penalty assessments, ultimately to the Tribunal. 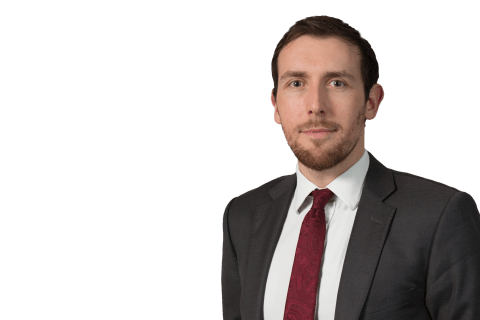 Much of HMRC’s approach to the case was on the footing that there had plainly been a breach of the main duty, and focused on whether the appellant could show a reasonable excuse for his breach. However, the Tribunal noted that the existence of material or repeated errors does not necessarily signal that the main duty has been breached. For a breach to be established, it must be shown that there has been a failure by the SAO to take “reasonable steps” to ensure that the company establishes and maintains appropriate tax arrangements. This is not an absolute duty to ensure that the arrangements exist. Whether reasonable steps have been taken is not a “one size fits all” question. It will include consideration not only of the size and complexity of the business, but also of the resources available to the individual in question and his or her authority to bring about change. In this instance, one might think that Mr. Thathiah had taken a good deal of trouble with his duties in mind. All the more so as the finance team was described by KPMG as “a relatively small one” and by the appellant as being “run on a shoestring”—he had on numerous occasions requested additional resources for the tax function (although these requests were not always granted). In particular, the appellant had: (1) established an internal tax team of two people with whom he met frequently (an experienced accountant as financial controller, and a tax manager with a payroll tax background who received VAT training and on-going support from KPMG); (2) increased automation in an effort to reduce errors; (3) expanded the tax risk register; and (4) introduced a comprehensive group tax policy document. In addition, KPMG was engaged to conduct a yearly audit, which involved a substantive review of the VAT calculations and checking sample invoices against the returns. The appellant relied to a large extent on the work performed by his staff and KPMG although he retained the ultimate authorisation powers and conducted sense checks, which were essentially variance checks comparing VAT figures included in one return to equivalents in earlier returns to look for anomalies. A difficulty for Mr. Thathiah, quite apart from errors having come to light after he had left the business, was that HMRC’s internal manual on the SAO regime included a specific reference to sampling. That is, it gave an example of a business in a complex VAT recovery position which conducted quarterly sampling of invoices, as a means of double checking whether services were appropriately classified for VAT purposes. The manual stated that this meant there were appropriate checks and controls, so that miscoding a small number of invoices through human error would not be regarded as a shortcoming in the tax accounting arrangements. HMRC’s case was essentially that Mr. Thathiah only performed variance tests against earlier periods, rather than sampling (he relied on KPMG’s annual audit for this), meaning that consistent errors would not be detected and would become embedded, and that for a business with complex VAT affairs this prima facie amounted to a breach of the paragraph 1 main duty. Whilst the Tribunal agreed with HMRC that the company’s arrangements were not, in fact, “appropriate tax accounting arrangements,” the Tribunal concluded that the appellant had taken reasonable steps to establish and maintain appropriate tax accounting arrangements. Essentially, it agreed with his case that he had done what he could with the resources available. The team and company size were relevant considerations as to what amounted to “reasonable steps” in context, and the Tribunal considered that it had not been inappropriate for the appellant to rely on KPMG and his staff—one of whom had received full training and had access to ongoing support from KPMG, and the other, though not a tax specialist, was an experienced accountant. The Tribunal found that the appellant had put procedures in place, and that, whilst largely undocumented, in the context of a small team this was not necessarily problematic, so long as the procedures were well understood by those involved. While sampling would be desirable in principle, the Tribunal was not satisfied that HMRC had established a breach of the main duty due to its absence. Mr. Thathiah was in a rather invidious position—it seems to have been taken as read that there had been failures in internal control functions before he was even made aware that issues had been raised. Certainly “fairness” factors played a role in the judgment. The Tribunal noted the appellant was unrepresented and that he had no access to support or information from his former employer, and that the penalties could have a large impact on the appellant’s reputation and, potentially, future employment prospects, over and above the financial impact of the fine. Whilst the Tribunal noted there was no evidence that the appellant was “singled out” in this case, it stressed the importance of HMRC’s approach to such cases not only being fair, but also being seen to be fair. The Tribunal also observed that HMRC’s approach to the case had effectively been to assume that any qualifying company should be held to the same standard (seemingly, a standard set by HMRC’s internal guidance rather than statute) regardless of size or resource. The Tribunal disagreed with this approach, and considered that what constitutes “reasonable steps” will be dependent on the size of the business and available resources and other contextual factors. A major financial institution with a more sophisticated tax function will likely find its SAO held to a higher standard than that of the appellant in this case (on the basis that in such a scenario the SAO “may well have a more significant degree of control over resources”). It is to be hoped that HMRC takes these points on board and applies the regime in a measured way going forward. The purpose of the SAO regime is to promote transparency by providing a clear point of responsibility for internal accounting systems—systems which, as the Explanatory Notes to the legislation rightly state, large companies should have in place in any event. It would be most unfortunate if the SAO regime itself becomes a disincentive to dealing openly with errors that inevitably arise in any business for fear of personal liability. A departing SAO may find it prudent to take advice to protect his or her position should an issue emerge in future. This memorandum is only intended to be a general discussion of the topics covered and should not be construed as legal advice. We would be pleased to provide additional details or advice about specific situations if desired. You may contact any of the authors listed below or your individual contact at Shearman & Sterling.